Grayson, GA, March 01, 2019 --(PR.com)-- Meca B. McLendon of Grayson, Georgia has been recognized as a Woman of the Month for January 2019 by P.O.W.E.R. (Professional Organization of Women of Excellence Recognized) for her outstanding contributions and achievements in the field of religious-based life coaching. Each month we feature women to represent their professions and industries due to their expertise and success in their chosen specialty. Meca McLendon is the founder and CEO of Amazing Rare Rubies, LLC, which is an organization whose mission is to encourage women to pursue their journey of beginning to be, right where they are and become the women God created them to be. The organization was founded by Meca in 2014 and officially launched in 2015. Their first gathering, held in Meca’s home, was comprised of six women who stood in agreement with her and the vision God gave her and, as result, became the first official members of the organization. She is responsible for helping women develop and cultivate Christian values and traits. Amazing Rare Rubies, LLC encourages women to become the women God created them to be by maintaining integrity, preserving our values and standing on our principles and beliefs. They desire to accomplish this by incorporating the Word of God in every decision made, lesson learned and message taught. 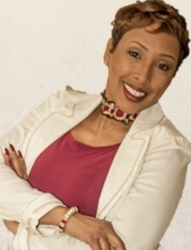 After obtaining her certification, Meca serves as a life coach, radio host, events host and public speaker. She has over 25 years experience in leadership coaching, training and personal and professional development. She is well-known in her community for her talents and has been a featured guest with various radio and TV media outlets such as 108 Praise Radio, WYZE Radio, Bizlynks TV and more. She hosted two radio shows: The After Care Show on WDRB Media, and A Ruby In The Making on All Nations Radio. Meca is married to Lautrice McLendon, and has three children: Jerica, Blair & Jericia and two grandchildren: London & Landon. In her spare time, she enjoys shopping, travel, meeting people, spending time with her family and reading. For further information, contact www.amazingrarerubies.com.